You may not be familiar with rutabaga (also known as swedes or neeps), or if you are, it's probably as a mash, such as in the classic Scottish tatties and neeps, or just a player in a hearty winter stew. But like most winter vegetables, these hardy turnips pickle up beautifully. 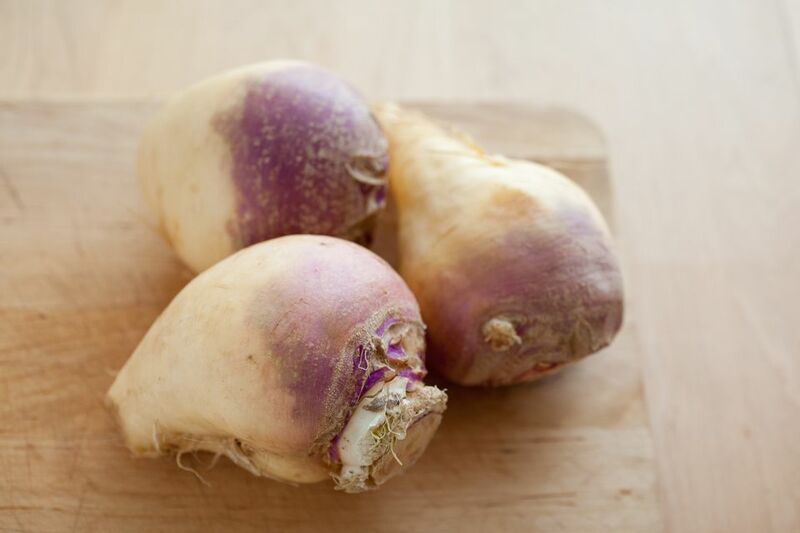 Rutabaga are a turnip native to Scandinavia, hence the name swedes. They're larger than many other turnips, with a purple top and a faintly yellow body. Like all members of the brassica family, they have a mustardy aroma and flavor, though this mellows when they are cooked. Rutabagas are inexpensive, low in calories, and rich in vitamin C, calcium, potassium and fiber. A touch of honey in this brine brings out the natural sweetness of the turnips and balances the spicy flavors. Slice off the stem and root ends of the rutabagas, and peel, using a paring knife rather than a vegetable peeler to peel them. The thick, tough skin of the rutabaga may be more than a normal vegetable peeler can handle. Cut the peeled rutabagas into approximately 1/2-inch planks, then again into 1/2-inch batons, about the size and length of french fries. Make a salt brine by dissolving the salt in 1 quart of water. Add the rutabaga strips to the salt brine, and let them soak for 4 hours or overnight. If necessary, cover with a plate to keep them submerged. Drain the rutabagas in a colander. Discard the brine. Pack the rutabagas tightly into clean canning jars. (It is not necessary to sterilize the jars for this recipe). Make sure the pieces of rutabaga are short enough to allow for at least 1/2-inch head space between the top of the food and the rim of the jars. You want the vegetables to be really packed in tight so that they won't float up out of the final pickling brine. In a saucepan, combine the vinegar, the remaining 1/2 cup of water, and honey. Bring to a boil, and then immediately turn off the heat. While the vinegar brine is coming to a boil, toast the cumin and mustard seeds in a dry skillet over low heat for 2 minutes or until fragrant, stirring constantly. Stir the toasted cumin and mustard seeds, paprika, coriander and cayenne into the vinegar brine. Stir in the lemon juice. Pour the brine into the jars. The rutabagas should be completely submerged in the brine, but there still needs to be 1/2 inch of air between the surface of the brine and the rims of the jars. Secure canning lids, and process in a boiling water bath for 15 minutes. Like most pickles, these will be edible immediately, but the flavor will continue to develop and improve with at least a week or two to cure.